SS Readers Corner – Why buy books when you can rent them? In Malaysia, books are expensive and libraries are not well-stocked. 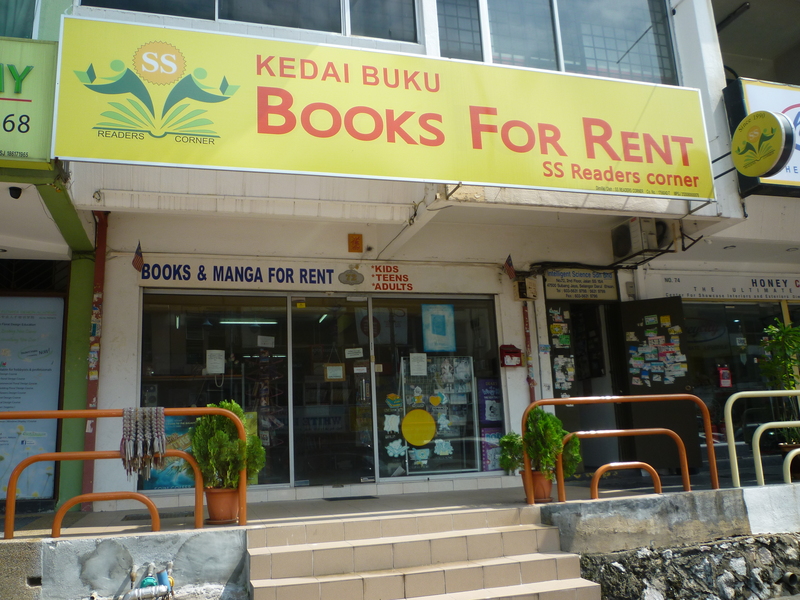 One of the options for Malaysia-based bookworms to get access to books is book rental shop. SS READERS CORNER, which is located in Subang Jaya, Selangor, offers book rental service without paying for membership or deposit. For more information on the rental procedures, please visit the FAQ page. Drop by the store to check our collection of 28,000+ books. Alternatively view our bookshelves or photos to see the different genres of reading materials. Check out our News page. In addition to announcements on newly arrived books, our blogger writes about anything book-related such as ‘benefits of renting books’ and ‘author-readers interaction’. Visit our Calendar page to find out book-ish events all over the world. If you would like to get regular updates from us, sign up for email notifications (look for the Follow box) or Like our Facebook page. Thanks for visiting our website. Please share this link with your book-loving friends!